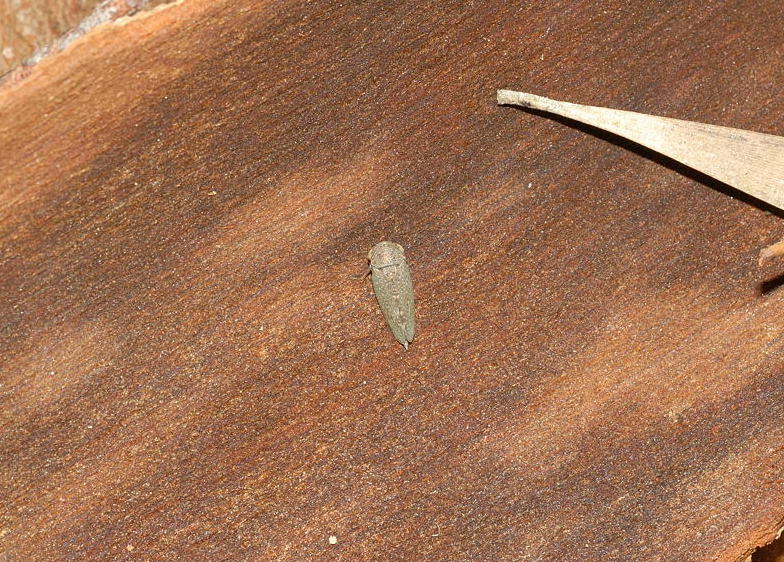 This page contains pictures and information about the White Leafhoppers that we found in the Brisbane area, Queensland, Australia. Pictures taken in Ford Road Conservation Area on Jan 2009. 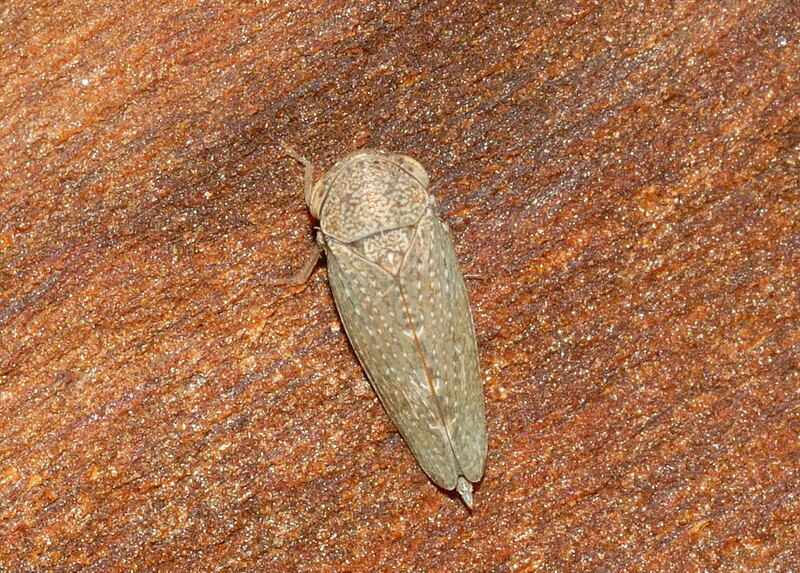 The Leafhopper was resting on loose bark of a Grey Gumtree. It is a female for we can see its ovipositor extended beyond the wing-tips. 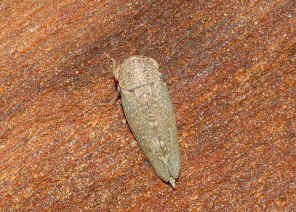 We saw this leafhopper only once. 1. Thymbris convivus (Stål) - Fletcher, M.J. and Larivière, M.-C. (2001 and updates). 2. Genus Thymbris Kirkaldy - Fletcher, M.J. and Larivière, M.-C. 2005.